This is an Assy no. 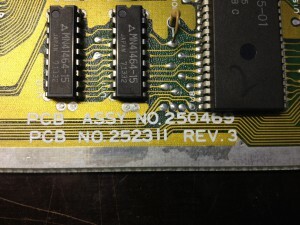 250469 Rev. 3 short board. The machine would start up with a completely black screen. I checked that the machine had power all the way through the power switch. Everything seemed fine. 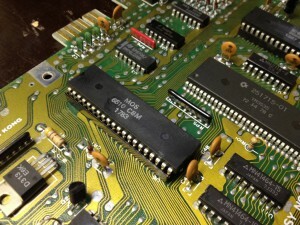 I then removed the SID as the machine would run fine without it (but of course without any sound). Still no change. I then swapped the VIC-II and the 8701 at U20. Still no change. 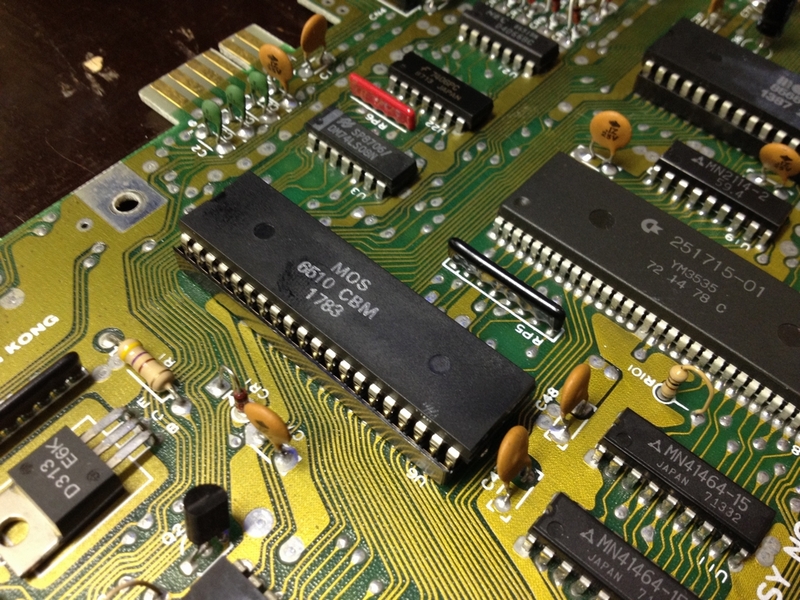 I then carefully unsoldered the MOS 8500 MPU at U6 and mounted a socket. I then tested the chip in a working machine and good things happened! 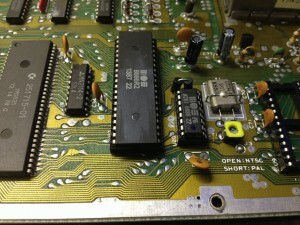 The MPU chip was broken after all! 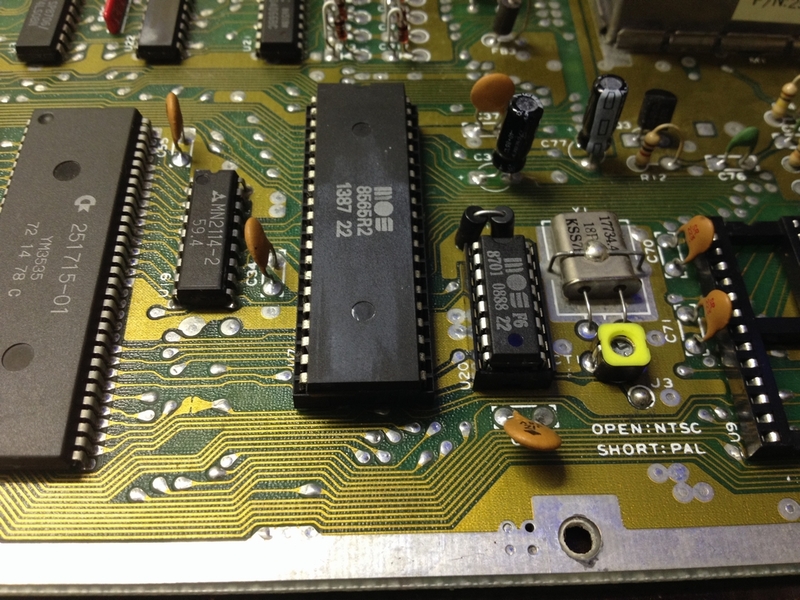 As I did not have a spare MOS 8500 at hand I temporarily swapped it with a working MOS 6510 MPU. I do not know if leaving in the older generation 6510 chip is something I would do permanetly, but for faultfinding it should be fine. 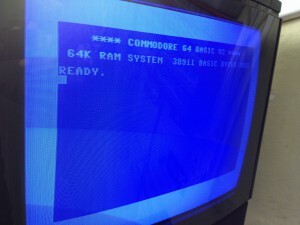 And the sweet blue screen was back! 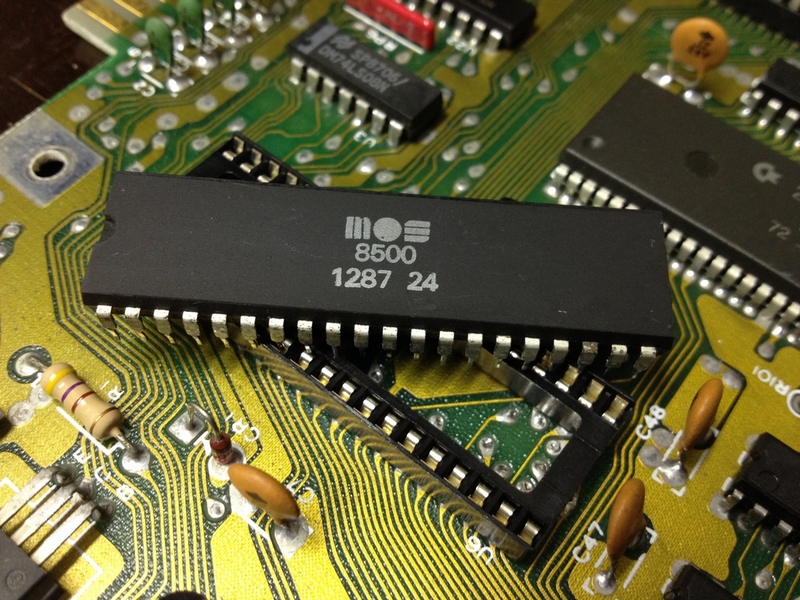 A new MOS 8500 MPU chip was ordered from Ebay and the machine had been resurrected.